Nestled at the foothills of the Appalachian Mountains in Athens, AL is the Fairfield Inn & Suites Athens/ I-65. Our Hotel in Athens is conveniently located off of I-65 between Nashville, TN and Birmingham, AL, as well as only 16 miles east of Huntsville, AL; the Fairfield Inn & Suites Athens is near museums, botanical gardens and recreation. Spend a day visiting Huntsville, home of the U.S. Space & Rocket Center. Youll marvel at the displays that showcase the historical achievements of NASA. While staying at the Fairfield Inn & Suites Athens/ I-65, you can relax in a guest room, suite, or accessible room where you'll enjoy the comfort of a king-sized bed or two queen-sized beds. Our rooms are furnished with a 42 inch LCD HDTV, and our suites include a sitting room with sofa sleeper plus an additional 42 inch LCD TV. 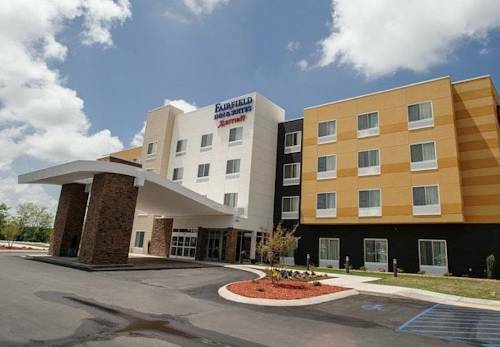 All rooms at the Fairfield Inn & Suites Athens/ I-65 have well lit, flexible work space that you can configure to your preference, hard wired Ethernet connection, microwave/ refrigerator.